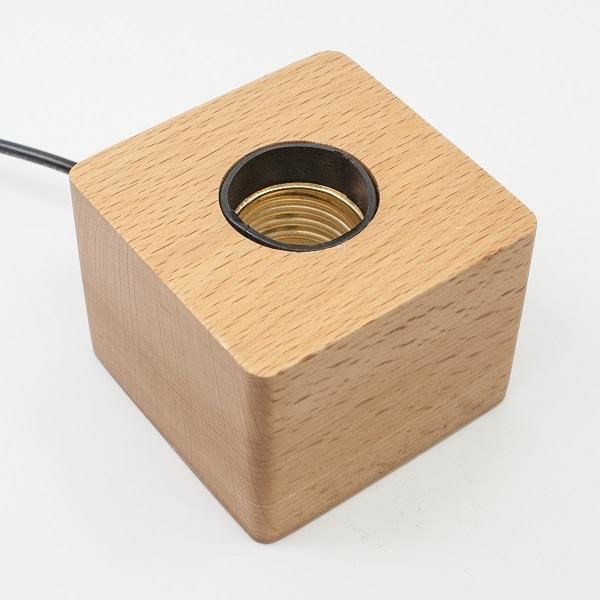 Wood light base with screw-in socket, on/off switch on cord. Base is approx. 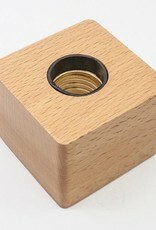 a 2.5" Cube Light source not included.